College of Insurance was formed following consultations with Insurance industry players and the Government, more so after realizing that the existing overseas course CII was not only expensive but less consonant with the local market needs. Consequently, a curriculum that incorporated the local culture, socio-economic and legal aspects was developed. Following concerted efforts with the government, the local Insurance industry incorporated the Insurance Training and Education Trust (ITET) under the perpetual Trustees Act (Cap 64) of the laws of Kenya whose Trustees are drawn from the Insurance industry, the Government and other stakeholders. ITET established the College of Insurance 20 years ago. 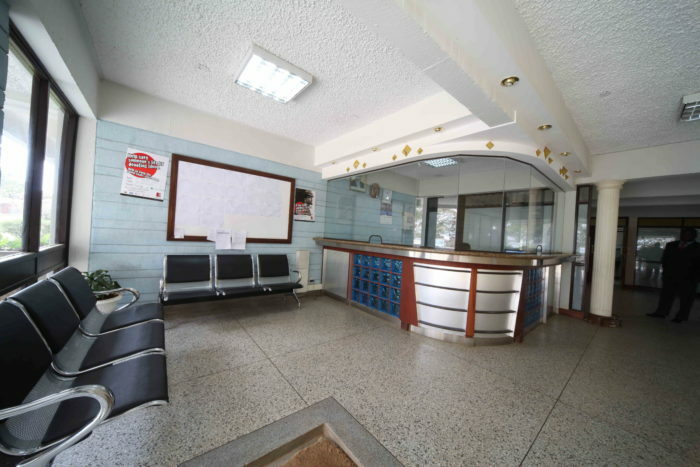 The College of Insurance main campus is situated in Nairobi, South C, and six kilometers from Nairobi Central Business District bordering the Nairobi National Park. It prides itself as the premier college in East & Central Africa that trains in Insurance courses. The institution first opened its doors for training with students in short and management courses taking a maximum of 10 days. In 1996, the government introduced a course for all agents (COP), Certificate of Proficiency. This program is mandatory for all Insurance agents and it continues to attract large numbers to the institution. The first examinations were held in 1997. The fundamental objective then was to provide professional and technical training to employees and other people serving in the insurance industry. By 2001, a Diploma course in Insurance with the first examinations undertaken in 2001 had been developed. The number of Insurance courses offered at the College has grown to both local and international programs becoming a distinguished trainer in Insurance and Business Management programs in East Africa and beyond. The institution remains an examination center for many foreign exams with several affiliates spanning; Association of Kenya Insurers (AKI), The Association of Insurance Brokers of Kenya (AIBK), The Insurance Institute of Kenya (IIK) and Insurance Regulatory Authority (IRA), Institute of Loss Adjusters and Risk Surveyors (ILARS), Kenya National Insurance Examinations Board (Interim) (KNIEB), Chartered Insurance Institute (London)- CII. The College of Insurance is registered by Directorate of Industrial training. The College was established by the insurance industry in 1990.By this time, most Kenyan were finding it increasingly difficulty to undertake the CII examination or attend course outside the country as costs were becoming prohibitive. The objective of the program was to develop capacity of insurance companies in human resources, underwriting systems, risk modelling, loss adjustment and field inspections that will lead to an increased uptake of agricultural insurance within the EAC region.